Will You Join Me on a New Year's Journey? I never met him; I wish I had. I don’t know him; one day I will. 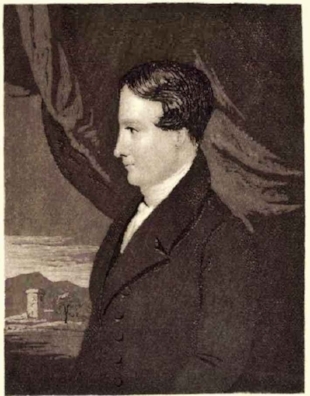 Please meet my mentor Robert Murray M’Cheyne, a minister of the gospel in Scotland in the 19th century. Why do I refer to M'Cheyne as my mentor? Let me explain. Reading systematically through the Bible has been my ethos for decades. Over the years, various methods enriched my pursuit. But when I met M’Cheyne’s Daily Bible Calendar, I ceased looking for other resources. His simple plan seems anointed; I have never been able to explain why. The Daily Bible Reading Plan of Robert Murray M’Cheyne takes readers through the Old Testament once in a year, and the New Testament and Psalms twice in a year. In my original experience with his plan, I found the pace to be like a sprint; I wanted a marathon. So, I halved the content and adapted the method to read through the New Testament and Psalms in one year, and the Old Testament in two years. This works beautifully for me. The work M’Cheyne prepared for his parishioners remains available today. If the Lord leads you to join in the ongoing legacy of this minister mentor of mine, you can download the practical plan here: http://bibleplan.org/plans/mcheyne/ Follow the prompts, and you can even discover the audio button as well. A word of grace; dismiss the notion that you are behind. Today is the perfect time to begin. What is your plan in 2017 for living daily in the Scriptures?